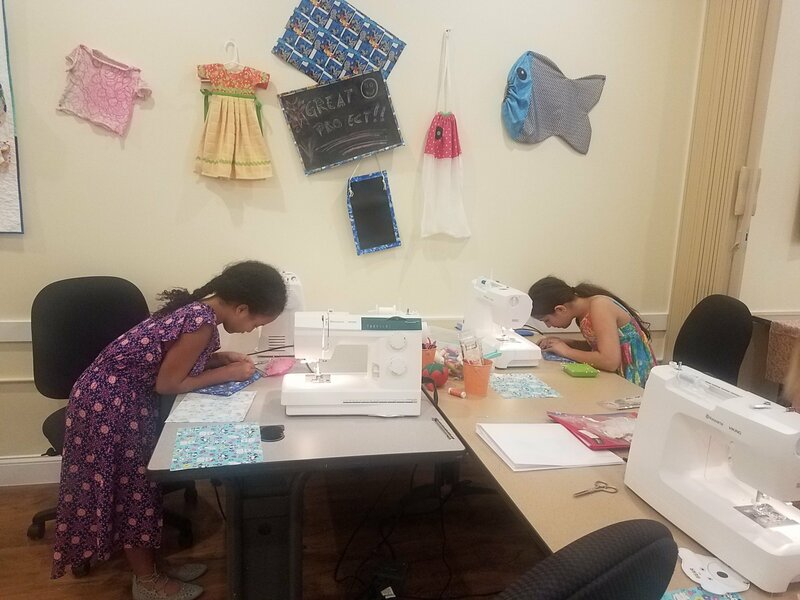 Our children's sewing program meets every Tuesday. Registration is for the month listed. Classes will continue and progress throughout the school year but may be purchased on a month to month basis. Registration must be completed by the Tuesday before the new month of classes. While making fun projects, your child will learn to hand sew and be introduced to using a sewing machine. All class materials and project materials are included and provided. If your child has a sewing machine it is recommended that they bring and use it during classes. If a sewing machine is needed, please make arrangements with the Sewing Center prior to the start of classes. Materials Included: All fabrics and patterns are included. Requirements: Please bring sewing machine, power cord, foot pedal and related accessories. If your child does NOT have a sewing machine to bring to class, please make arrangements with the Sewing Center prior to the start of classes.